When my grandfather started his roofing business on long Island in 1939, he never imagined it would become the major roofing organization it is today. Incorporated as Triple M Roofing Corp. in 1961, I firmly believe our success stems from 75 years of uninterrupted family ownership and management. There has always been a Milanese at the helm of Triple M making sure the tradition of “total responsibility” is carried on. That’s not going to change. 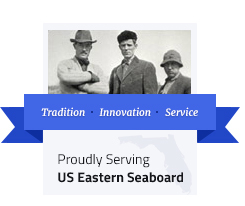 Now in our fourth generation, my brothers Peter and Jeff and I are just as committed to solving the East Coast’s diverse roofing needs as our founder was. Our services run the gamut from initial roofing and building inspection surveys to the installation of new roofs or the replacement of existing ones. And by offering ongoing maintenance programs, we also provide peace of mind. Over the years, thousands of companies have counted on us to protect their most important assets and keep their work places up and running. You can count on us, too. We have a vested interest in providing you with the best service available. After all, it’s our name on the dotted line.